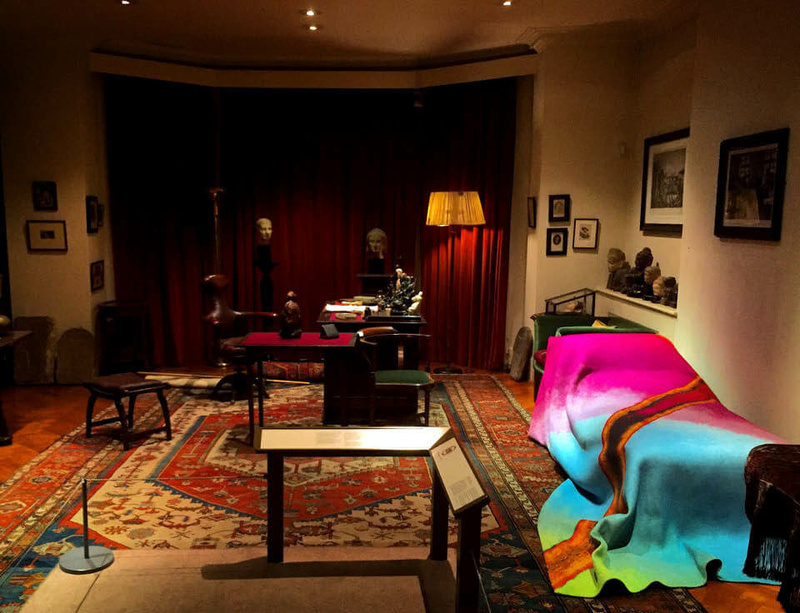 Taking place from 7 October - 22 November at the Freud Museum in London, the exhibition Every piece of dust on Freud's couch by Broomberg & Chanarin scrutinises Sigmund Freud's iconic couch, gathering DNA samples, strands of hair and dust particles left by Freud's many visitors. The artists transform forensic findings – presented initially as a series of high-resolution radiographic quartz images – into large woven tapestries, that mirror the scale and texture of the original covering. The first in a series of these textile works is to be draped over the actual couch, replacing the rug with an abstracted portrait of one of its sitters. Broomberg & Chanarin’s exercise in forensics aspires to the language of science and, like psychoanalysis, it attempts something contradictory; the objective study of subjectivity. Just as Freud radically changed the way we think about history, memory and evidence – forever influencing the stories we tell ourselves about the past – the physical presences suggested by these collected samples alter not only the history and texture of this iconic expanse of woven material, but they colour the already charged and celebrated atmosphere of the room itself. An extension the project, Every piece of dust on Freud’s couch, will also be on show as part of the eighth British Art Show (Leeds Art Gallery, 9 October 2016 – 10 January 2016, then touring to Edinburgh, Norwich and Southampton) and coincides with the artists' debut solo exhibition entitled Rudiments at Lisson Gallery, 25 September – 30 October.